Peng Li’s practice focuses on patent preparation and prosecution, patent strategy and portfolio development, IP due diligence, licensing and technology transactions. She also provides patent invalidity and non-infringement opinions, clearance and freedom-to-operate (FTO) studies and patent litigation support. Peng has represented companies in a diverse range of industries including computer software and hardware, consumer electronics (e.g., smart phones), wireless communications, semiconductors, e-commerce, multimedia and gaming applications, shipping and logistics, pharmaceutical and medical devices. 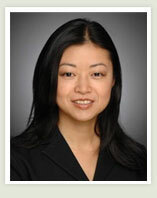 Before joining Chen Yoshimura LLP, Peng was a senior patent attorney at a top global law firm, representing one of the largest computer and smart phone makers in developing the company’s worldwide patent portfolios. Previously, Peng worked as IP counsel with a wireless communications company where she gained extensive experience with various communication technology standards including 3GPP (GSM/UMTS), 3GPP2 (CDMA/CDMA2000), WiMAX/IEEE 802.16 and LTE. While working in-house, Peng assisted in establishing and implementing the company’s patent program and IP policies, reviewed IP-related terms in business negotiations, and handled trademark, trade secret and copyright issues in daily operations. Peng is a native speaker of Chinese Mandarin and travels to China frequently. She has been active in cultivating Chinese companies’ IP awareness by giving them lectures and speeches regarding patent laws and practice in the United States.